I am really playing the sympathy card now…can you tell? Ok so enough with the pity party and onto the progress. My progress involved three things this week. I started creating my Workout Schedule Calendar that was made out of a paint board from Lowe’s and chalkboard paint. Here is what it looks like so far. Don’t let it deceive you. It may look simple and easy but getting those lines straight and even took a long time. This is my first ever real chalkboard project and I have been having so much fun working on it. I still need to add the days of the weeks and a title. I created it so I can make a two week workout schedule. There is something about having a plan that helps me to accomplish things. If I wake up and don’t know what workout I am going to do I have a greater chance of not doing any workout at all. This will help organize my workouts and with having a plan it is more probable that I will actually stick to my workouts. 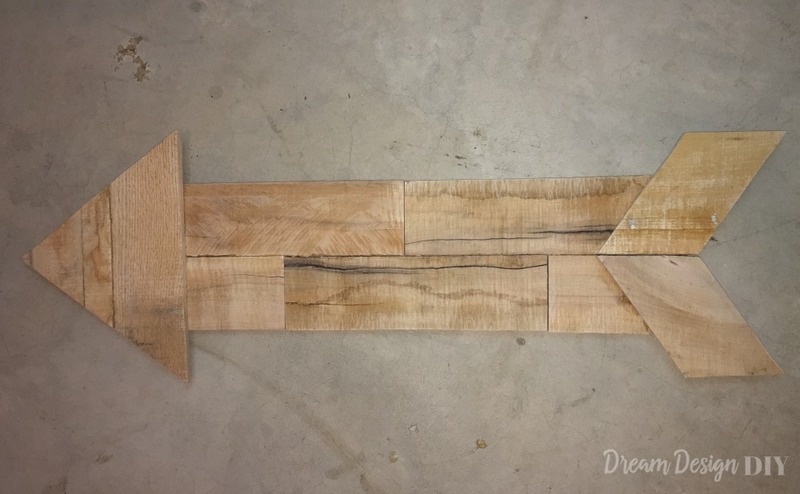 The other progress I made is a wooden arrow I planned to put on the gallery wall. My new love is arrows and I was super excited to make this. At first I was going to buy the wood for it, but then I found leftover pallet wood from making my Recipe Stand. The left over pallet wood was just the perfect amount of wood I needed. I love the arrow how it is, but I am thinking that I will paint it. The last progress I made was starting the gallery wall. Here is the inspiration I started with from Love Grows Wild. This is the empty wall with the soon to be gallery wall. 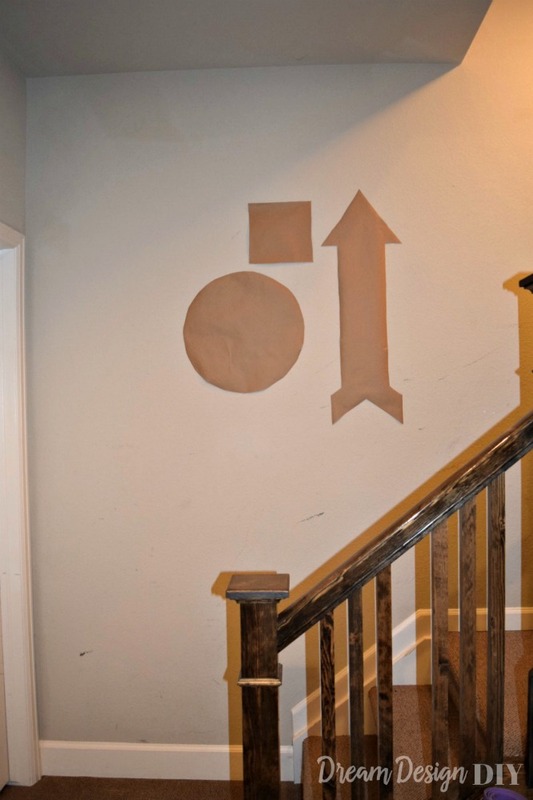 In order to get an idea of placement I cut out shapes and started taping them on the wall. I will be adding to this over the next couple of weeks. Thanks for stopping by and hanging out with me as I get rid of this beer gut. 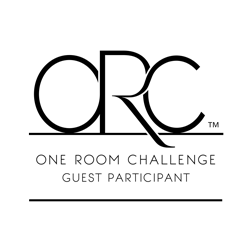 Take some time to check out the progress of the other participant’s rooms at Calling it Home. what a tough call – I like the arrow left, but either way will be great. Can’t wait to see what you end up with! So far I have left it. I figured I could always paint if I wanted too. Thanks for your opinion. Your calendar is such a good idea! I am such a planner, so I may have to make something like this for myself. I am so not a planner, but I have to say being a planner makes for such a less stressful life if I would just stick to it. Here is to an attempt for a less stressful life CHEERS! I love the workout schedule and am super envious that you are so dedicated to working out that you made the giant board! Your arrow looks fantastic out of that wood. Great job! Yes all is not what it seems. I am pretty dedicated to working out but definitely go through times where I don’t quite make it to the basement. Having a scheduled should hopefully help me with those times. I love your wooden arrow! I think it will look great on the wall when it’s finished! That calendar came out so nice! 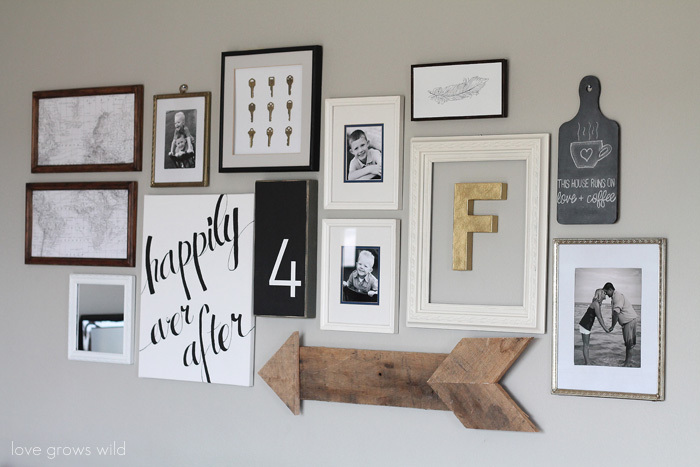 Very smart idea to tape the shapes onto wall for your gallery wall. Less changes for unnecessary holes from mistakes. Good luck with week 5! Thanks for stopping by and I will need lots of luck. Good to hear I am not the only one. It has been great to do the challenge but real life can get in the way. Good luck for the finish! The calendar looks great and I can imagine it was pretty difficult to get everything to line up. Looking forward to seeing the gallery wall! 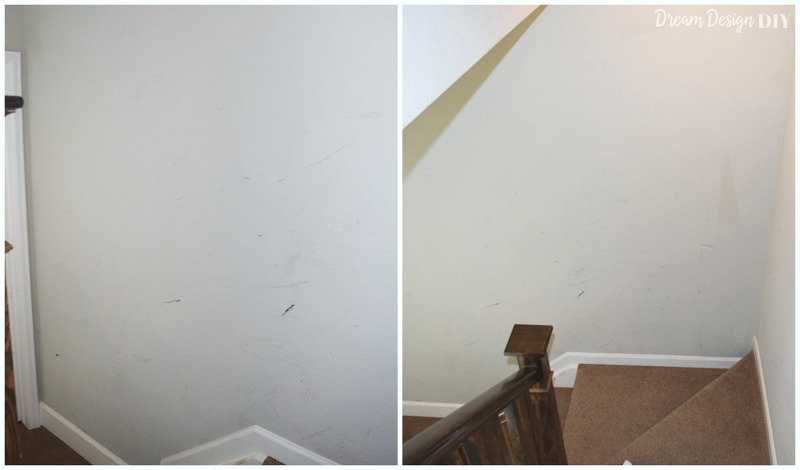 This was my first chalkboard project and using a square really helped to make the tape lines straight. I was really surprised because normally I can’t draw or cut anything straight. Thanks Erin! I am so happy with how the arrow turned out!